Plowing is not always required – and rightly so, as it is the slowest and hardest task. Plowing is recommended after each crop of maize, potatoes, beet and reed: if you don’t plow the field, the yield will be reduced by 15%. 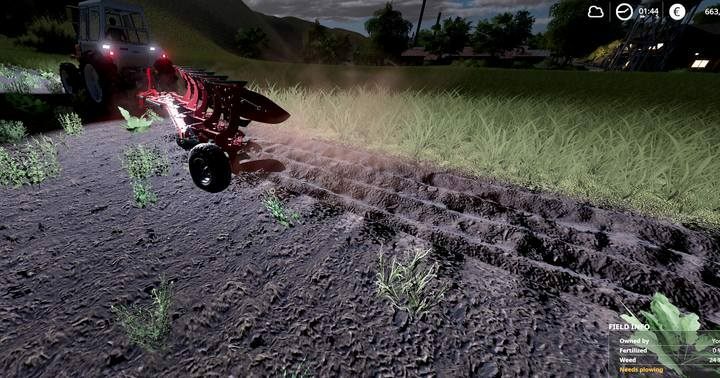 If you play at balanced difficulty, plowing is required every third crop to maintain soil fertility. (when you stand in the field, in the lower right corner you will see an info box – if the soil requires plowing, you will be informed in orange text) You will also see this information on the map: a field that requires plowing will be marked in red. If you plow, you don’t need to cultivate – sow away! The vast majority of cultivators have an in-built seeder and/or fertilizer spreader: you can carry out two or even three actions in one go! Cultivation does not affect yields: after plowing, you do not have to cultivate the soil. You can find cultivators in the shop under the following categories: Cultivators, Power/Disc harrows, and Planters/Seeders (here you will find the machines that plant and cultivate at the same time). 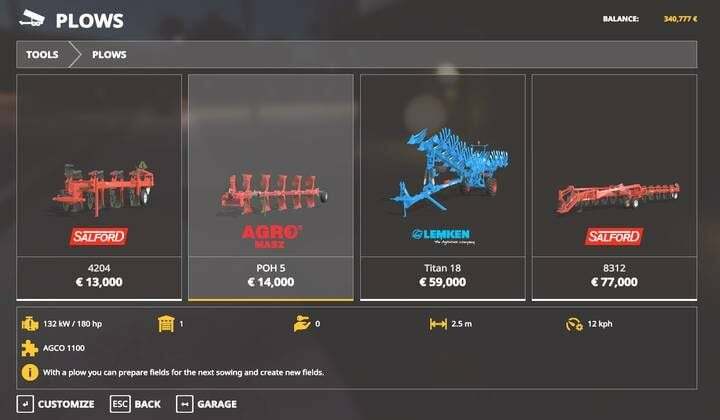 Farming Simulator 19 introduces a new shop category: Disc/Power harrows. They are also cultivators, but of a different design. They are characterized by: higher work speed, lower price, lower power requirement of the tractor. However, they do not combine the features of seeders/planters. Question: I have deactivated periodic plowing. But when I bought a new field, even after reloading the game the map says the field requires plowing. I try to plow it but when I try to activate a worker to do it it just immediately say: Worker has completed the task. I cultivated and seeded the field in 1 go and it shows as “cultivated”, “growing” and “fertilized” but also still shows as “needs plowing”. 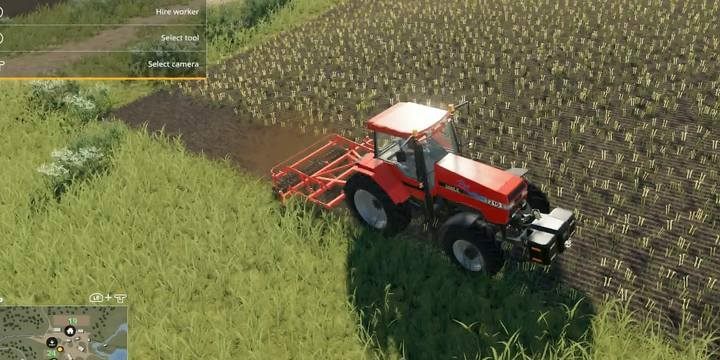 Is this just a visual bug or do I actually have to plow newly bought fields that (according to the map) needs plowing?